File contains two copies of a photograph of the former location of Halifax's Africville neighborhood. 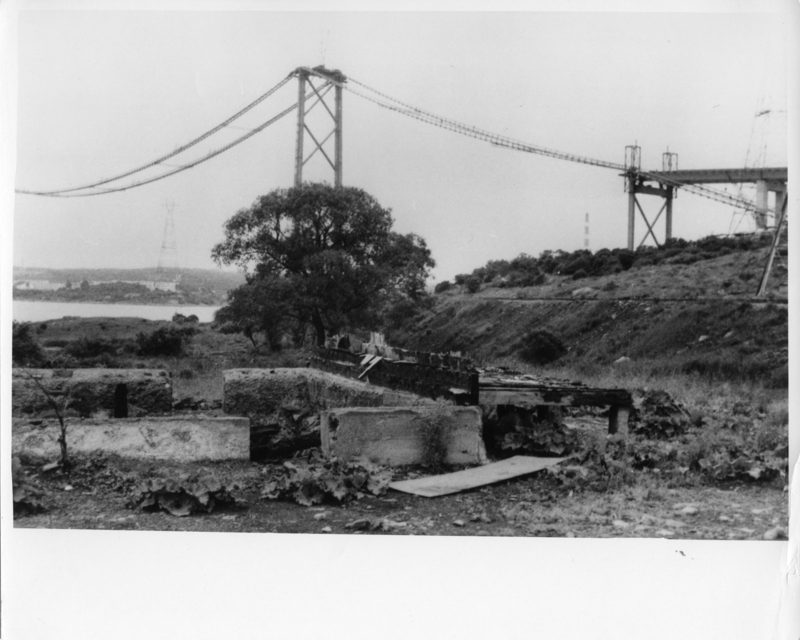 The photograph shows the foundation of a demolished house, with the partially completed MacKay Bridge in the background. 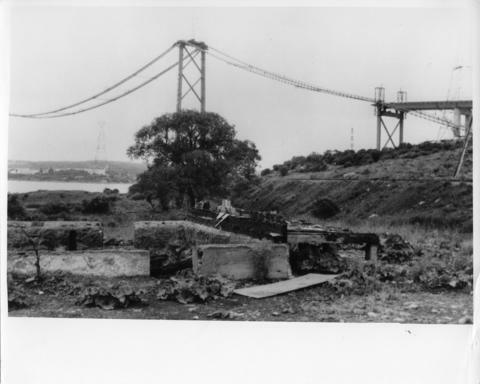 The photograph was used in Donald Clairmont's "Africville Relocation Report" ("Africville After the Relocation" pg. 8-2).